Nervous about selecting a wedding dress cleaner for your beloved gown? Don't be. The Association of Wedding Dress Specialists will give your gown the care it needs to achieve its highest resale value, or to be cleaned and preserved for a future daughter to love. 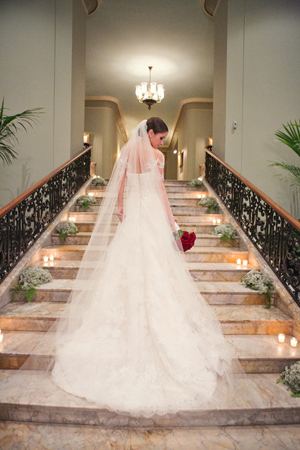 An Association member will clean your gown to standard museum-quality practices. They'll also give you a free consultation on your gown and advice on cleaning both visible and invisible stains. More than 70 different designers sew Association of Wedding Gown Specialists care instructions into their wedding gowns. See the full list of designer who recommend the Association here. National Bridal Service did blind testing of four national preservation companies and proved that the Association of Wedding Gown Specialists preservation was the cleanest, provided the safest packaging, and offered the most comprehensive guarantee. See the full results here. Each member of the Association honors the written guarantee of other members. So you can bring your wedding gown preservation to any member to have your gown inspected and pressed at no charge. And, as if you needed any more reasons, The Association is currently offering PreOwnedWeddingDresses.com users a $35 discount on all cleaning, alteration and pressing services. Register for the discount here. And feel confident that your gown is in expert hands! by Ed | Sep 11th, 2016 | Comments are closed.